Matricium is a 100% formula Biomimetics, composed of elements naturally present in the skin. Matricium creates a favorable environment for tissue regeneration by induction of regeneration of essential components of the DermIS: colagênio fibers, elastin and glycosaminoglycans such as hyaluronic acid. The cells recover their ability to multiply, the skin regains functionality characteristic of younger-looking skin. The collagen produced is strong and flexible, not changed by phenomena of glycation. Matricium creates a favorable environment for increased cellular defenses of the skin, regulating oxidative stress. Dermatological treatment in the form of individual doses in order to preserve the integrity of its components and its therapeutic efficacy. Highly tolerable, is indicated as anti-aging treatment in even the most sensitive skins (with rosacea and couperose). On perfectly clean skin, apply 1 monodose by morning or at night, for a complete regeneration of the skin, during 30 days. Apply all over the face, including contour of eyes and lips, and on the neck. If necessary, apply also on your hands. Can be applied during pregnancy! Can be used in treatment or continuously. Matricium can be applied to the entire face, including the eye contour area, neck, arms and hands. 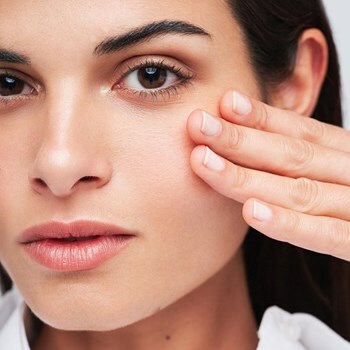 Top 8: best anti-aging products! Stop the signs of time with the right products! It is crucial to know what your skin needs and we give a hand help finding them!